Blogs have come a long way. They used to be derided as “amateurish” by professional writers and web developers. Now they’ve become the go-to sources of information for everyone, from journalists and researchers to everyday consumers. They’re used legitimately by doctors and online techs, too, so the derision of blogs is now gone. But as common as blogs now are, it’s not too common to find a really successful blog. Having a blog is equally crucial for a business; having a blog, primarily one that is hosted on a worldwide web server, is better. Blogs are becoming so big that they are outright replacing websites. A lot of companies are now just paying the hosting fee for their blogs and, well, that’s it. You don’t have to pay a website designer or any of the hosting fees for a web site anymore for your business to be noticed online—as long as you have a strong blog that offers readers contact information for further queries about your business. You’re also your own designer if you have your blog. All the great blogging sites, such as WordPress and Blogger, have templates that you can use to create and recreate the appearance of your blog. You can also upload photos and media with considerable ease. This allows you to have easy control over your company’s image through the success of your blog. The big worry when it comes to social media and blogging is that your material isn’t secure; people could steal content from your site or profiles. Websites today are also good fodder for hackers. If either is a concern, a good blog hosting service can help with both. Be sure to do your research before choosing a host; looking into their security features or even reading reviews by other bloggers regarding a hosting business’ services are great places to start. Search engines like Google index the content for hosted blogs and newly posted material in as quickly as thirty minutes once you put it online. It’s part of the social media optimization mechanisms they have going now. Even traditional website content doesn’t get indexed that fast! There are a lot of hosting service providers today and they offer all kinds of services for your blog. If you have a social media platform or campaign, like Facebook or Twitter, that you want to share your blog across, if you want to add plug-ins, and if you want to scale your blog faster, you can do it, provided the host offers the service. When you go looking for your blog hosting service, see what choices your own blog site offers. Today, ones like WordPress offer great, cheap hosting services that can optimize your content for you. How perfect and exciting is that? 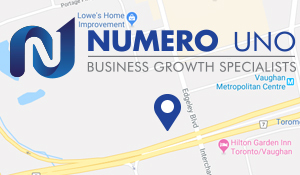 To get more help on all your SEO, website design, and web traffic needs, e-mail Numero Uno Web Solutions Inc. at info@numerounoweb.com.